As long-time readers of this blog know, I have written much about preachers misleading people about tithing and finances. I spoke up against my former pastor telling people that God would poke holes in their pocketbooks if they didn't tithe, they God would "blow it all away" if they didn't fork over 10% to their church, and that Americans should get ready for God's judgment for all those pesky non-tithers sitting in pews. We're heading into the fall when for some reason preachers seem to think is the season for beating the sheep with abusive tithing messages. Go back and look at my blog articles in October 2010 for the worst of the worst - including Ed Young's infamous attempt to get checking account numbers, after telling everyone that if they don't "bring the tithe" they might as well stop coming to church and wasting his time (Ed's) and God's time. So that brings me to right now, August 2013, in Jacksonville, Florida. The largest church in our city, Celebration Church, pastored by Stovall Weems, has been not just preaching the tithe as a requirement for Christians to be blessed by God and avoid calamity - which Stovall does preach - but they have moved now in the direction of "prosperity gospel" preaching. The latest proof of this was on Sunday August 18th, when Stovall Weems introduced Robert Morris of Gateway Church to the Celebration congregation to preach a sermon on how to make a "Financial Comeback". Morris' sermon wasn't just another of his pleas to tithe to avoid financial calamity - it went beyond that in being a plea to give money because Jesus is waiting for you to give it to him FIRST before even your family gets it, but that Jesus will mysteriously give it BACK to you later. Like in many of his sermons Morris purports to speak directly for God, telling people what God says. 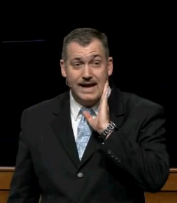 In the next posts I will put some video clips of this Morris sermon up he preached at Celebration, along with some clips of recent Stovall Weems sermons, to show that this church has now moved in the direction of prosperity gospel: that if you give money to the church, God will miraculously give it back to you. 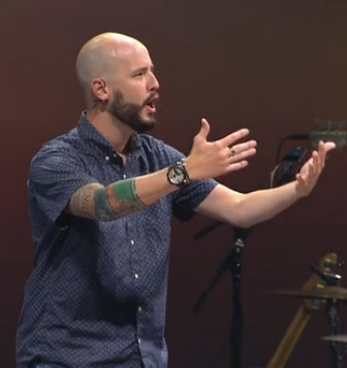 What makes this so particularly sad in my city is that Celebration Church is filled with so many sincere - yet gullible - young Christians, listening to a handsome, hip preacher who has a gift for persuasive speaking. It is done in the venue of a rock concert, complete with fog, bright lights, and extremely loud music, and beautiful people on stage. My hope in shining a light on these teachings is to help these young Christians not be duped by a phony message wrapped in a beautiful, cool, hip package. And it is a message that will hurt them financially, and ultimately hurt them spiritually when they realize they've been duped by a masterful marketing strategy. I know members of Celebration Church will come here and tell me all the wonderful ministries of Celebration Church and who am I to criticize. I know, I get it. I'm not here to say Celebration is all bad. But the truth must be told for the good of the people in the churches - not just the young people at Celebration, but young adults at OTHER churches in Jacksonville who will be drawn to Celebration's glitzy, rock-style venue and hip pastor. Pastors in this city, parents in this city: you need to know what is taught regarding finances and giving if your teens and young adults pick up and move to the "greener" pastures of Celebration Church. And the Watchdog is only more than happy to help out, so stay tuned. Hope all of you Watchdog readers are having a wonderful summer. Make no mistake, the Watchdog is still on the job, but just taking a break from writing over the past month. Like some of the high-profile mega church pastors, the Watchdog is on a summer sabbatical to recharge his blogging batteries. The Dog of God has to take a break just like the Man of God, you know! During the Dog Days of summer, I did want to share with you a short post of a few recent examples of what pastors need from you this summer, so you can be sure to help them out. "It's All About the Benjamins": Josh Turner and the pastors at Celebration Church here in Jacksonville need your benjamins. 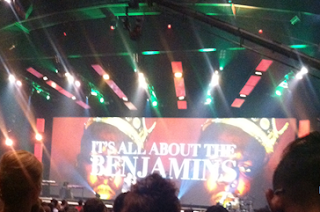 Last night with a giant "It's All About the BENJAMINS" graphic behind him (for those of you who don't know, a "benjamin" is a $100 bill) - Josh preached to the college students the importance of forking over 10% of their life's income to the church so they can be blessed and not cursed. Josh even managed to make fun of a woman who actually took them up on their "money back guarantee" offer - a woman who I know and who did need her money back and went through the humiliation of having to ask for it. 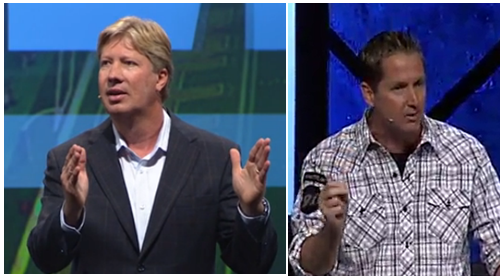 I used to think that pastors tried to hide the fact that what is most important is the money - but Josh and the leadership at Celebration are now apparently open and honest: "It's All About the Benjamins" as you see in the photo above taken last night. To these preachers what matters most is the dollars - you prove your faith to them by forking over 10 cents on the dollar. Seeing this reminded me of Ed Young's "Show me the Money" sermon disaster in 2010. "Preacher Needs House Furnished": While Josh is trying to rack up the Benjamins, another pastor in Waycross, Georgia is trying to rack up the home furnishings. Remember Danny "It Ain't None of Yo' Business" Crosby, the preacher here in Jax who bragged about ripping into a woman at a restaurant who dared to criticize her pastor in a private conversation - while his own online resume publicly ripped his prior church? 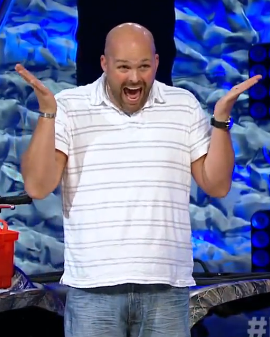 Danny boy landed a new gig at a church in Waycross this spring. I've never heard of a pastor doing this before, but apparently Danny and the Mrs. set up a "wedding registry" at Belk's website so the peeps at his new church could help them furnish their home they're moving into this summer. If you'd like to help Danny furnish his home - they still need the Samsung 720p plasma TV on the Walmart registry - visit their registry here and here. And tell them the Watchdog sent you. "Preacher Needs Your Prayers": The peeps at Perry Noble's church received an hour's lecture by "teaching pastor" Clayton King on a very necessary topic: you are obligated to continually pray for your pastor. Not that you should be praying for your wife or your kids, but you should be in continual prayer for Perry and others in "authority" over you, since their jobs are so tough and so important. Clayton wrapped it up by telling the good folks six steps to praying for Perry: pray affectionately, pray compassionately, pray courageously, pray specifically, pray expectantly, pray constantly. And pray while drinking the NewSpring Kool Aid. If you need to watch this hour lecture on how to pray for YOUR Man-of-God, you can watch Clayton's message here. There you have it, now you know what your pastor needs...now get busy and pray and buy for your pastors, and remember, IT'S ALL ABOUT THE BENJAMINS!